It’s fun to design your own t-shirt. 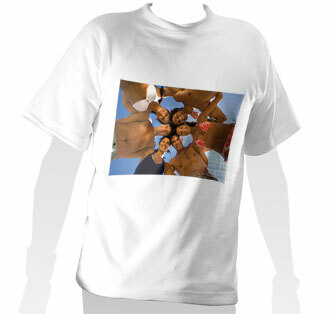 Pick a favourite photo and we’ll print it on our high quality, 100% cotton t-shirts. For group events or just for yourself, it couldn’t be easier. All t-shirts are in adult sizes - small, medium, large and extra large - and perfect for your group event. Image size on t-shirt: 20cm x 28cm.